In my previous article, I talked about Understanding the Use of Pendulums, in this article I’ll talk about differences in pendulum responses between people. Assessing the foot with a pendulum is like assessing a country by measuring only one town. A country is complex; many systems operate within it. In the same way, the foot has many bones, ligaments, tendons, and tissues with multiple interrelationships among them and with the rest of the body. When you assess the foot with a pendulum, what exactly are you assessing? How the body’s energetic flow affects assessments. The energetic flow of the body and its organs and cells ebbs and flows with what the body is experiencing. Essential oils change the energetic flow of the body. News that impacts us emotionally changes the body’s energetic flow. The body is not energetically static; it is always responding, reacting and adapting to its internal and external environment. Even the act of assessment changes the energetic flow. Placing our hands in the body’s energetic field changes the energy. Any of the above could explain why two people got different pendulum movements when they assessed. In addition, the people holding the pendulums are energetically different. For these reasons, it is always best to compare your pre-treatment reading to your post treatment reading because you are likely to be assessing the same thing you assessed originally. 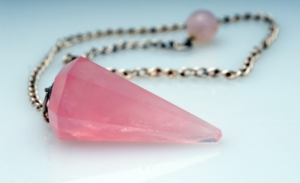 In the 3rd and final article in this series on pendulums, I’ll discuss doing spot treatments.